The UK rarely “suffers” from such burnt out summers but on the odd occasion we do get to enjoy a little bit of heat, which can dry out many local trails. With Windham as inspiration; here’s how to get the best out of your summer and the little dry weather it throws at you. With summer upon us, hopefully trails are beginning to dry out. The south has been lucky to have a few weeks of heat at least which can alter trails as much as any water can. The faster speeds people will be carrying will mean bigger braking bumps in corners so its important to get your cornering technique dialled, something Aaron Gwin excels at; try this masterclass in line choice from Brendan Fairclough. Braking bumps place greater strain on your body; meaning that a correct body position is even more important. Through the blown out corners in Windham Aaron Gwin, the winner of the weekend, adopted the perfect attack position: arms bent, chest low, head up and legs bent to absorb any impacts from the huge holes in the corners. 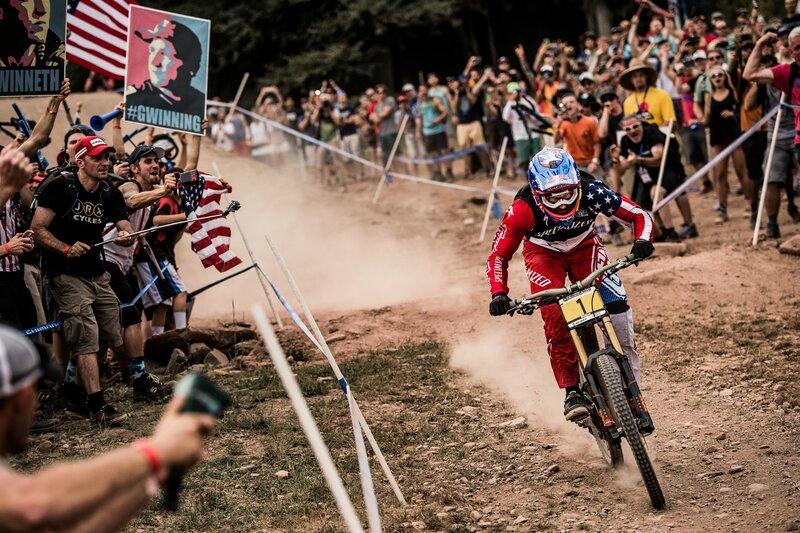 Gwin took the win by over three seconds on his home track in the USA with what will probably go down as one of the most legendary downhill runs; beating Greg Minaar who was looking for his 19th ever world cup win. 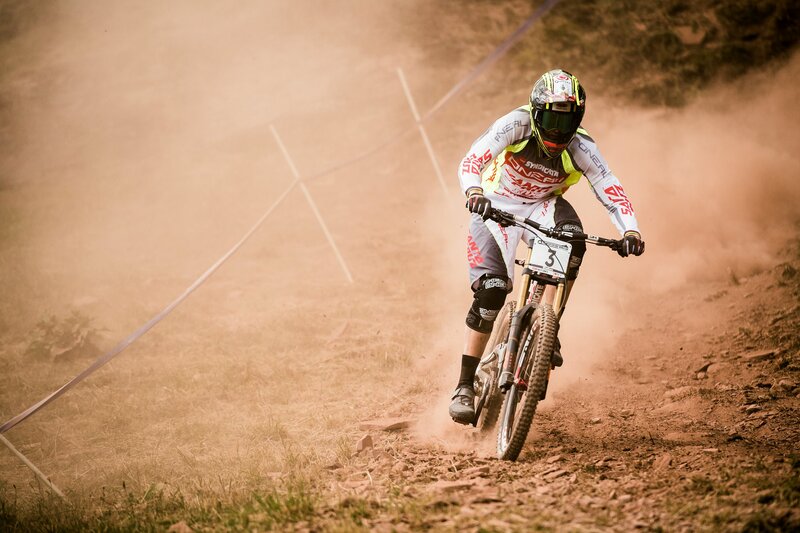 Meanwhile British hopeful Gee Atherton came down in fourth position and Josh Bryceland managed a 7th. Canadian Stevie Smith returned from his long term ankle problems with a triumphant 5th, looking much like his old self. If your area is lucky enough to have had some serious heat you may even have a some dust lying around. You definitely will do if you have plans of riding in Europe. Dust can remove traction from a trail, especially in deep corners or over rocks. When riding and especially when braking in such conditions drop your heels to give the rear wheel as much possible traction as possible when cutting through the dust. 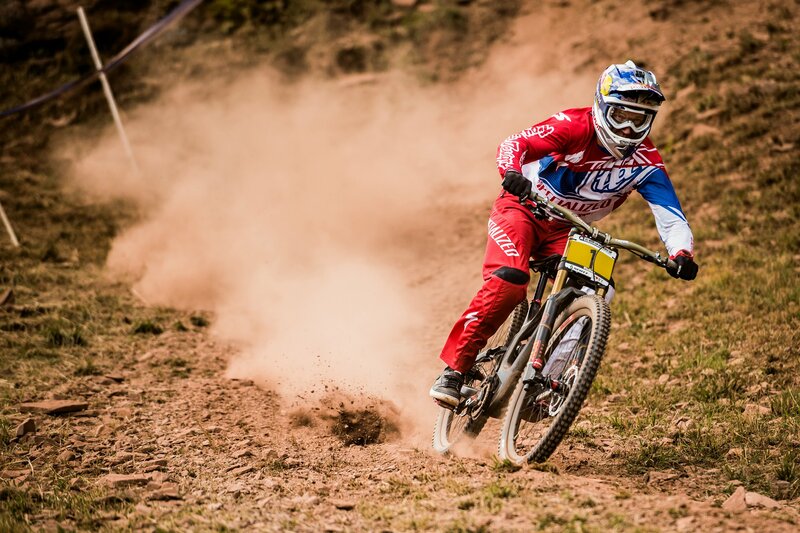 Plenty of the racers such as Troy Brosnan and Brook Macdonald had their chances ruined in Windham due to the dust. George Brannigan suffered the biggest crash of the weekend before getting back on his bike and having three more. 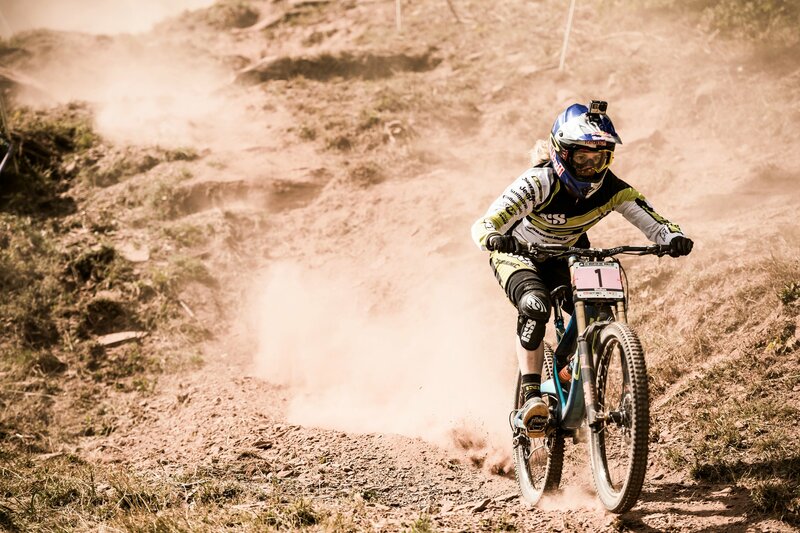 Rachel Atherton clearly had no such trouble in the dust winning the overall title before finals even began and with one race still to go. Continuing her truly unbelievable season, Atherton went hard in qualifying, putting down the fastest time and putting herself ahead by enough points to take the overall title. The change in conditions can also mean a change in kit so here’s our suggestion of seven mountain biking products every mountain biker needs. Increase your rolling speeds on the drier terrain by speccing your bike with lower profile tyres, as less rolling resistance means quicker acceleration as well as higher overall speeds. Summer tyres should have a good mix of smaller knobs but retain good corner traction; you can check out our selection of the best mountain bike tyres.